The next time you need a change of scenery from your usual splashing grounds, take a dip at one of these natural swimming spots. It seems like every small town in Arkansas has a secret swimming hole—and with our state’s abundance of rivers and lakes, it’s no wonder! The next time you need a change of scenery from your usual splashing grounds, take a dip at one of these natural swimming spots. Visit Kings River Outfitters—only 8 miles from Eureka Springs on Highway 221—for a great spot to swim, canoe and fish. The outfitters service offers canoes, kayaks and riverside camping, and can also direct you to Trigger Gap, a cool swimming hole with a rocky beach. Big Piney Creek is located in the heart of the Ozarks and runs through Johnson, Newton and Pope Counties, offering lots of spots to swim and float along the way. One such spot is Long Pool, which is easily accessed by a recreation area and campground in Hector. Located in Hot Springs’ popular Lake Hamilton, Electric Island (also known as Big Goat Island) is a great place to boat or kayak to. When you get there, you can spend the day swimming, picnicking and exploring. Best known for its smallmouth bass fishing, Sharp County’s free-flowing Strawberry River is off the beaten path. 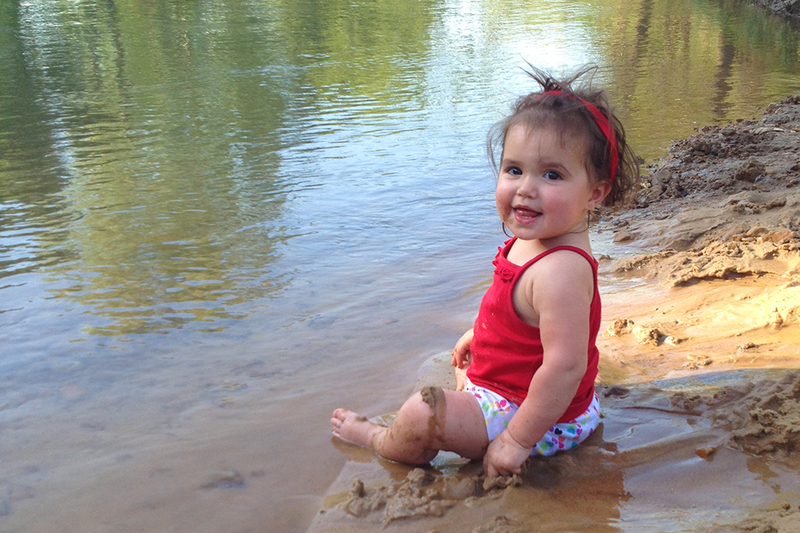 The family-friendly stream has nice gravel bars and even some sandy beaches. To get there from Batesville, take Highway 67/167 north through Evening Shade. Turn right (east) on Highway 56; then, in approximately 3 miles, turn left onto Barnes Road. Follow Barnes Road for approximately 1 mile, and you should see signs for the Strawberry River Preserve, which is open to the public. Turner Bend is probably the most popular spot for swimming, camping and canoeing along the clear and cool Mulberry River. The river is well-known for its whitewater floating, but when the water slows in drier months, you’ll find lots of swimming and wading holes, too. A tributary to the Buffalo River, Smith Creek runs through the Nature Conservancy’s Smith Creek Preserve located off of Highway 21 in Boxley Valley. Hike the trails in the preserve—which is home to gray bats, black bears and elk—and take a dip in the creek to cool off. Located on the Archey Fork of the upper Little Red River outside of Clinton, this hidden gem has the perfect spot for swimming and picnicking on a hot summer day. To get to the Bluffton Preserve, take Highway 65 North from Clinton approximately 7 or 8 miles. Then, turn left onto CR 79/Watergate Road and follow it to the end. There, you will see the entrance; follow the trail down to the river and jump on in! The Archey Fork of the upper Little Red River runs through the middle of Clinton and the Archey Fork Park. With the new River Walk Trail, getting down to the river for a quick swim is easier than ever. The park itself is also a well-equipped area for fun in the sun. For more information on lakes and rivers in the Natural State, visit Arkansas.com. You can also learn more about The Nature Conservancy’s Arkansas Preserves at Nature.org.